The bberry keyboard phone. Pretty good, they say. 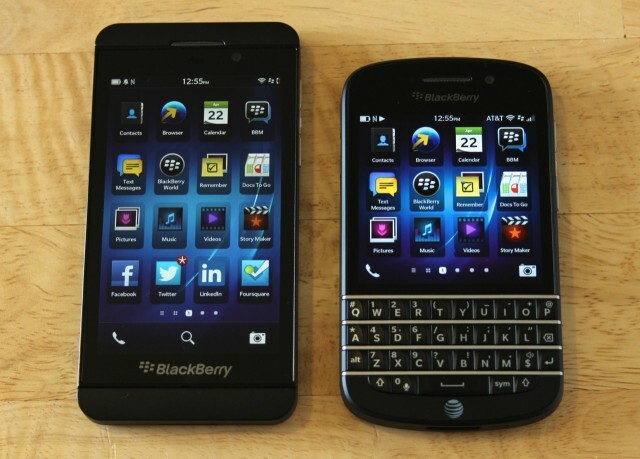 The BlackBerry Z10 (left) and Q10 (right): the Q is for QWERTY. The phone will be available in the US from all major carriers "by the end of May." If the BlackBerry Z10 smartphone was a bold statement, a declaration that BlackBerry and its new operating system were ready to quit messing around and really compete against modern phones, the Q10 is the company's love letter to its most loyal customers. The Z10 and its big, rectangular touchscreen look like the post-iPhone devices that we've gotten used to; the Q10, with its hardware keyboard and square screen, looks much like the BlackBerrys of a decade ago. But the Q10 isn't some half-measure like the BlackBerry Bold or Curve, stopgap hardware running an operating system in desperate need of an overhaul. It's a proper BlackBerry 10 handset, running the same OS and applications as its taller, slimmer cousin. So what can it do that the Z10 doesn't, and vice versa? How do the physical keyboard and smaller screen change the BlackBerry 10 experience? 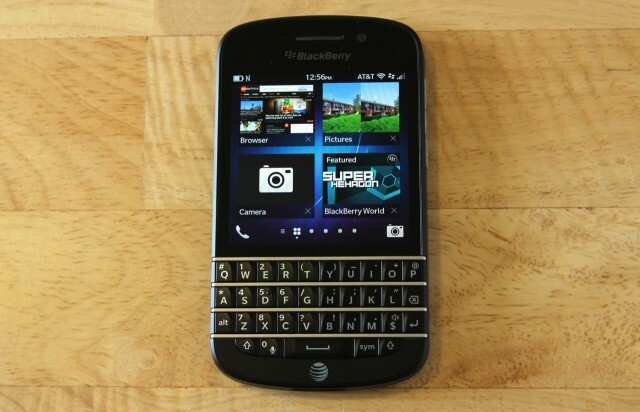 And does the Q10 strike a satisfying balance between old and new, or does it simply feel outdated? If you're familiar with the BlackBerry Bold or BlackBerry Curve, the BlackBerry Q10 will seem familiar. It looks like a Bold and the Z10 had a baby, with the Z10 having mostly recessive genes. The Q10 is a bit shorter and a bit thicker than most all-touchscreen phones, and its front face is split by its 3.1-inch, 720×720 touchscreen and 35-key backlit keyboard.